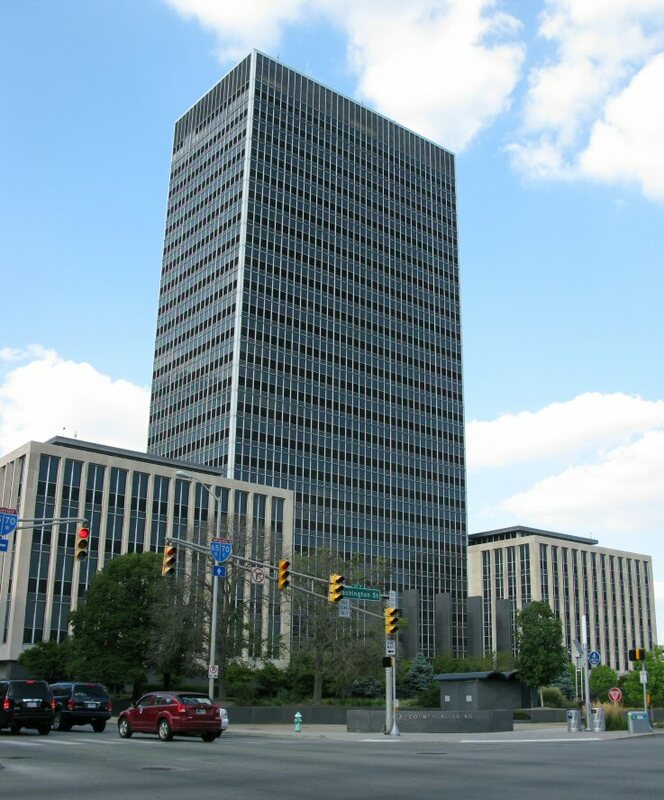 One of the lovely things about working in downtown Indianapolis and having to walk twenty minutes from my parking lot is that I have loads of time to look at the buildings. And look at them I do. 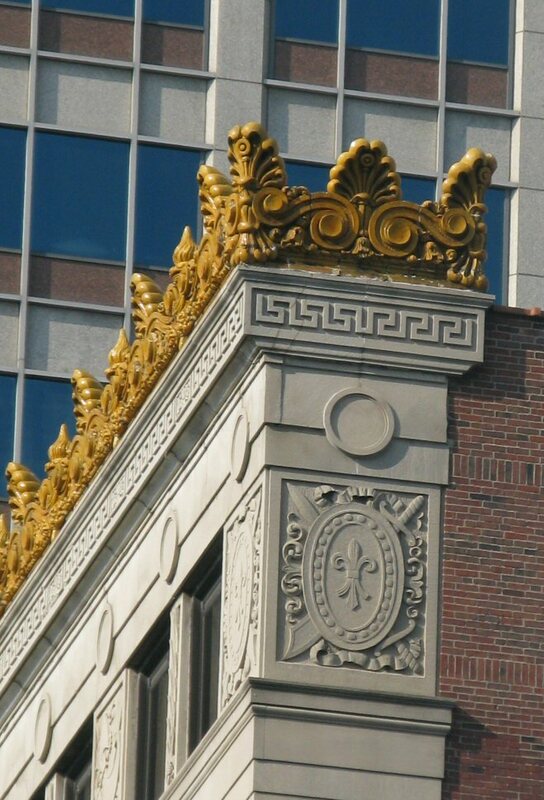 I stare up and admire the details of old craftsmanship and detailed decoration as I walk to and from work. Sure, I’ve seen a lot of it before, but it never grows old to me. I must look like a tourist staring up into the sky and taking pictures, but who cares! I’m grown, I do what I want! What I think is crazy is the busy worker bees who scurry to and from work, and never look at anything. 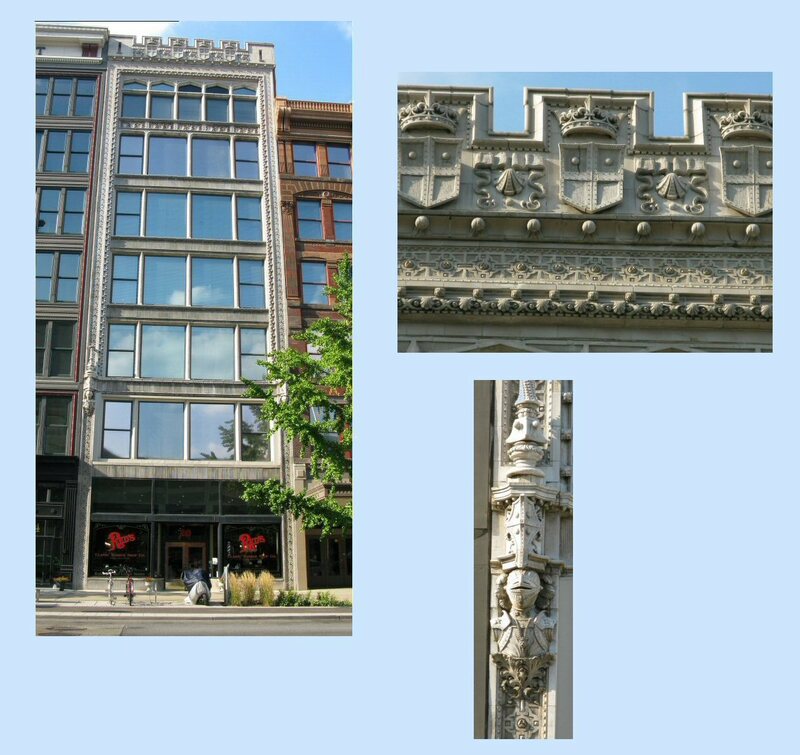 They’ve probably walked by the building that houses Red’s Barber Shop, and never noticed the crowns and shields at the top, or the bust of the knights in armor along the sides. I notice. I mean, just look at it! What I love most about this building is that they have obviously worked on it, the windows and frames look new, but they left all the details that make it charming and wonderful intact. I just moved from Louisville, where they’ve torn a lot of their history down. Certainly there are pockets that remain, especially along the river, but much of the old architecture has been lost. Indy’s lost some as well, as giant square skyscrapers replaced it, but there is so much still intact near monument circle where I work. 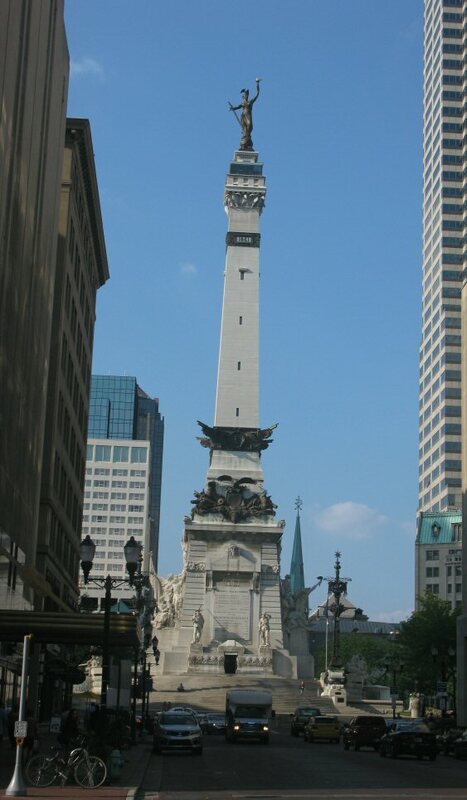 The Indiana Soldiers and Sailors Monument is a 284 ft 6 in-tall neoclassical monument located on Monument Circle in the center of Indianapolis. 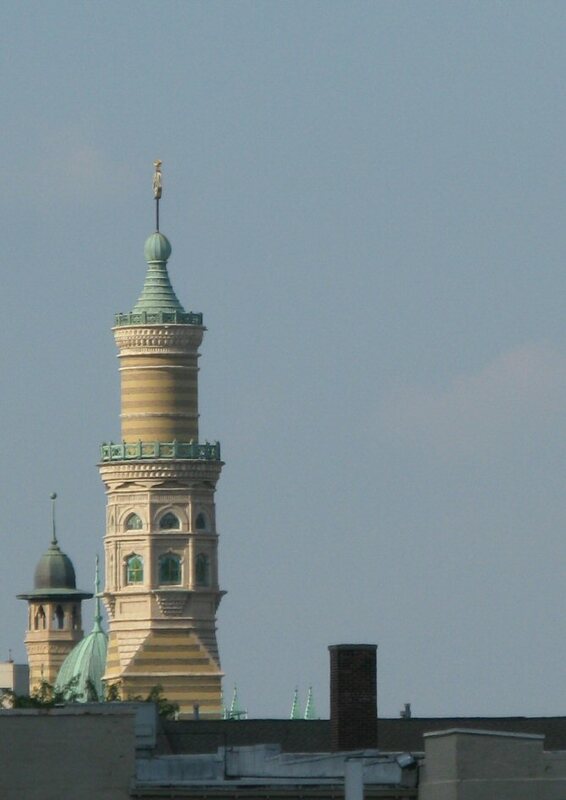 It was designed by German architect Bruno Schmitz and completed in 1901. 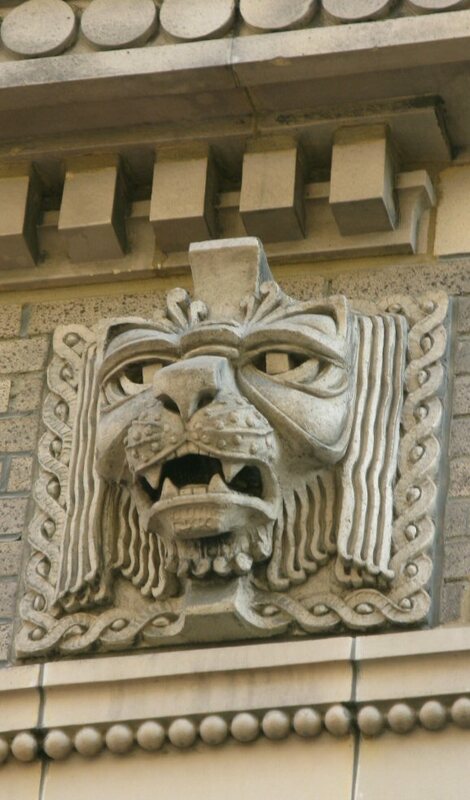 I love the old buildings, but it’s the details that make me stare into the sky like I’m awaiting some apocalypse. So many little treasures of hand created art, hovering in the air above for all to enjoy. Boring cluster of seventies-esque building blocks. 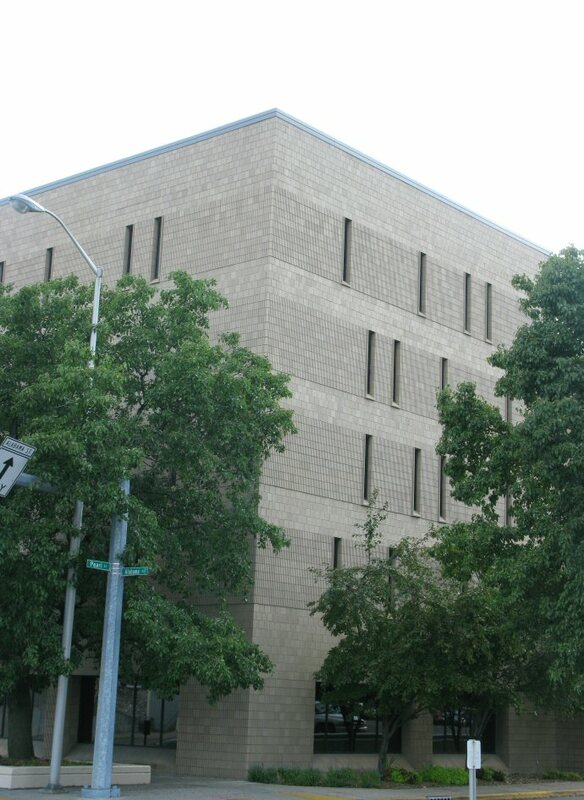 I wonder what the county jail looked like before it became a sandstoney square with piddly little slit windows. Were they expecting an indian attack or maybe the zombie apocalypse? The zombie horde is coming! Quick! Run to the county jail! Not all that’s new is ugly or plain. 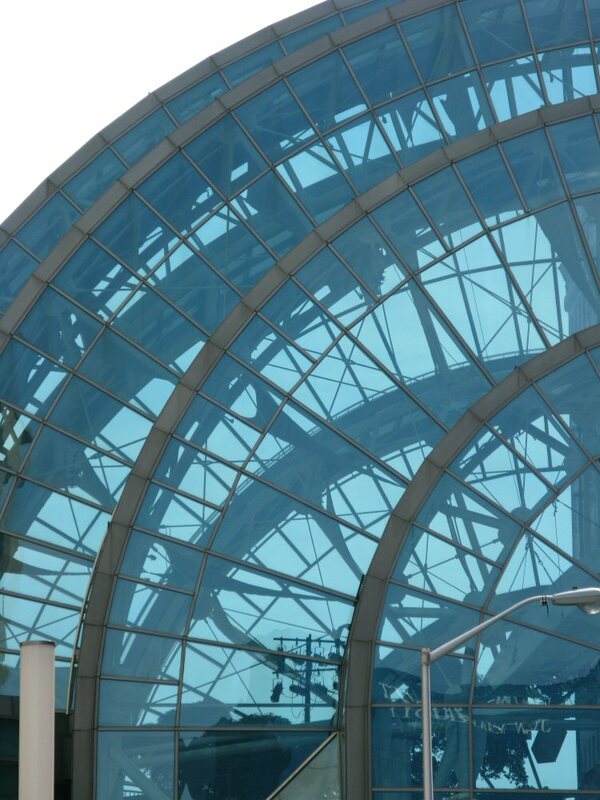 There is some very nice glass-work being done in Indy. 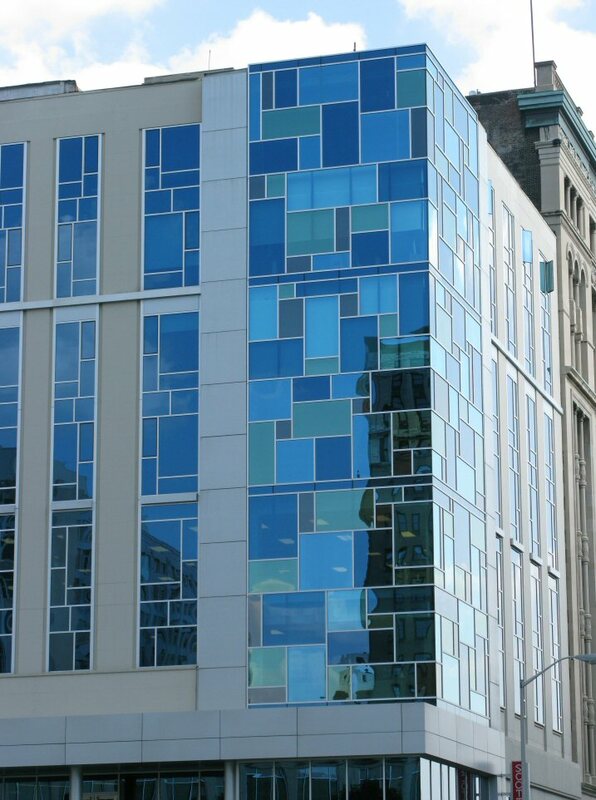 I love the stained-glass appeal of this wall of glass. And the structure in the Arts Garden. I do find newer buildings that please the eye, but even more interesting to me is the glimpse of a cathedral spire amongst the square slabs. 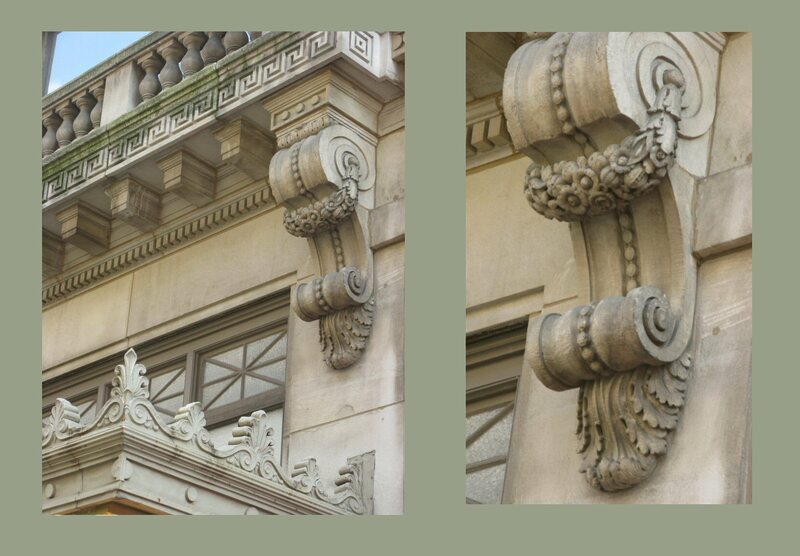 While the boring may be ignored, and the new appreciated, it’s the details and artistry of the old buildings that fascinates. Look at the careful construction of those flowers. A sharp contrast between old and new. 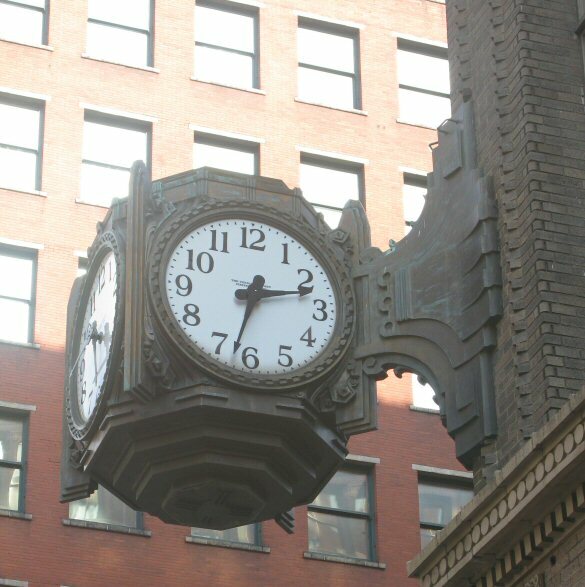 Though it no longer keeps time, this clock makes me happy every time I pass by it. I hope that the next time a city wants to demolish a block to put up yet another giant stadium, they will consider the artwork that will be lost. These are bits of history that should be cherished and protected, because we will never see their like again. And the next time you are walking through the city, don’t forget to look up! This entry was posted in Architecture, Change, Indianapolis, photography, writing and tagged architecture, change, indianapolis, photography. Bookmark the permalink. Hear, hear! 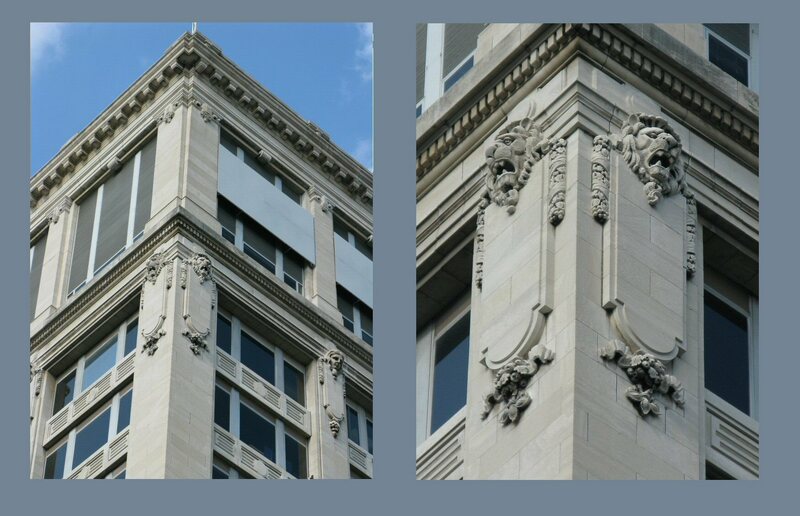 So which of these is your favorite old building, if you can decide on just one? I have several favorites. 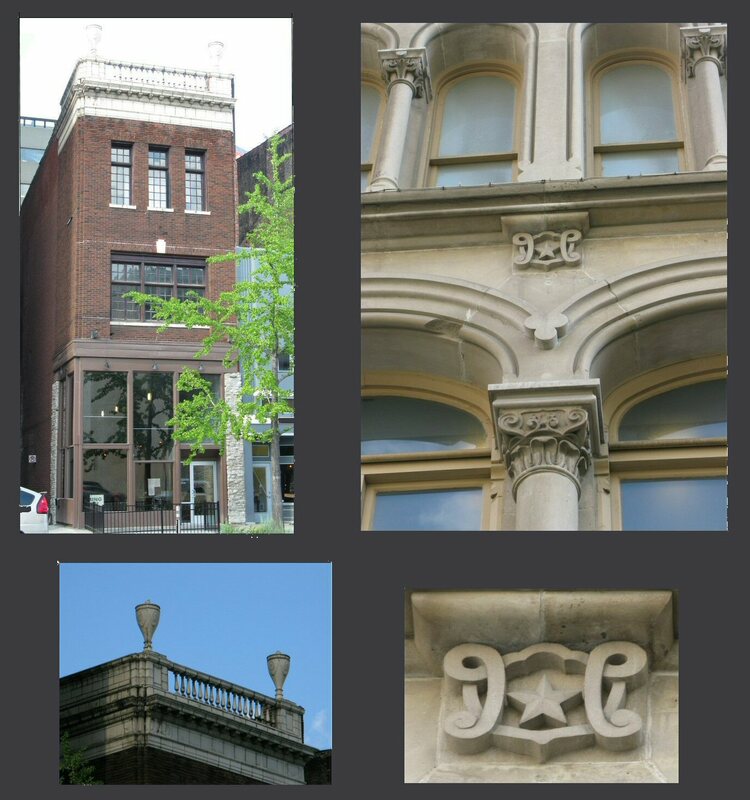 I’m very fond of the building that harbors Red’s barber shop, and also the little four story with the cement balcony railing and urns at the top.